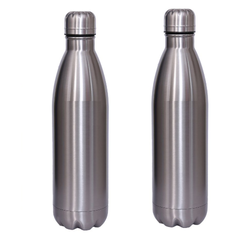 Leading Supplier and Wholesaler from Mumbai, our product range includes Hot and Cold Flask such as Cold Juice Flask, Hot Flask, Fancy Cold Flask, Insulated Hot Flask and Cold Flask. This is promotional Fruit Flavour Bottle. 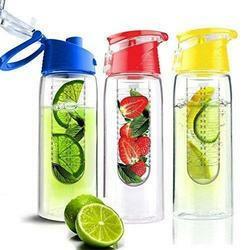 Infusing Fruits, Vegetables, Herbs and other flavourful ingredients into Water . The flavor produced is light, fresh and delicious. 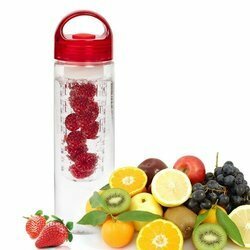 Perks up your water making it easy to stay hydrated and stay healthy. Try one fruit for pure flavour or use a couple for a unique refreshment. If you are feeling adventurous, try adding spices like cayenne pepper or fresh ginger for an extra kick. To bring out the flavours further you can sweeten your mixtures with natural sweetners like honey or agave nectar, but we recommend doing so i in moderation. We encourage experimenting with flavour combinations, but if your in a pinch, a quick twist of orange or lemon is always perfect for a healthy, flavourful zing ! 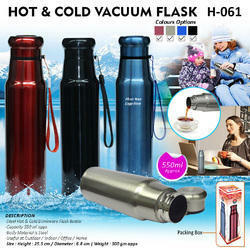 - This is stainless steel Hot & Cold Flask. 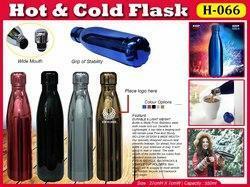 - To keep any Hot & Cold Beverage. 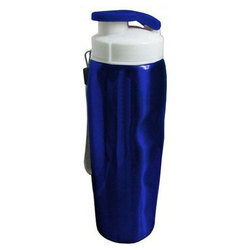 In order to conquer enormous level of patron belief, we have been engrossed in offering a vast collection of Cold Juice Flask. Valued for their perfect working, these are exceedingly demanded. Moreover, these are offered to our patrons and a cost effective rate. Features : Unbreakable Retains Flavour and freshness Odourless and Easy to Use and clean. 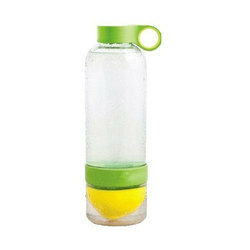 Bottle used to store liquids like chilled water, Cold Coffee, Juices etc. and during winter hot liquids like tea, coffee, hot water, milk etc hot. Its Scientifically engineered to keep hot or cold contents for longer hours Ideal for home, office, school,Colleges, Sports, travelling purpose. 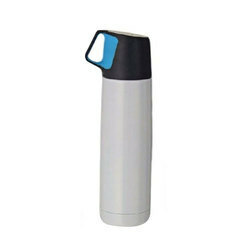 We are affianced in presenting to the industry a top class range of Hot Flask. Broadly acclaimed for its cost effectiveness, safe packing, durability and reliability, these are highly commanded. Additionally, our patrons can get this range from us at inexpensive rates within the assured frame of time. As an illustrious corporation of the industry, we are eagerly immersed in presenting a broad gamut of Fancy Cold Flask to our patrons. Using exceptional-quality basic inputs, these are designed and made up in tune with the guidelines laid down by the market. In addition to this, we present these to our patrons at the leading-industry rates. 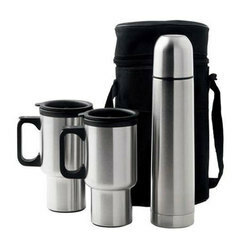 We manufacture Hot Flask that are manufactured using good quality plastic thus providing them longevity, fine finishes and durability. These are available in different colors, sizes and attractive designs to suit the demands and preferences of our clients. 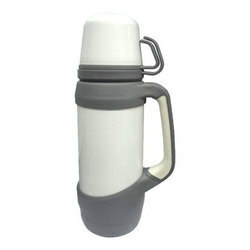 We offer these flasks at most competitive prices thus making them affordable for domestic and commercial purposes. Utilizing on our brilliance in the field of limited time things, we hold mastery in offering a wide assortment of Promotional Travel Mugs. 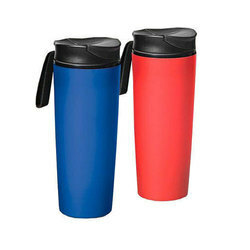 These mugs are accessible with us in different sizes and shapes to meet the inclination and requests of our clients. We have espresso mugs, stainless steel mugs and travel mugs that are profited by numerous Institutes, IT Hubs, BPO and Other Companies. 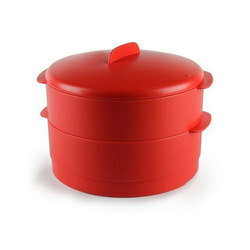 Our company is widely appreciated in offering Tupperware Steamer to the clients. Offered range has long service life and also ensures better performance. Tupperware Steamer is manufactured from the optimum grade material and with the help of pioneered technology under the supervision of skilled professionals. This product is available in numerous sizes and specifications as per the need of customers. The offered product is quality tested on stiff quality parameters at the quality unit. Offered range has been able to earn a lot of popularity in the market. Our company has achieved laurels in offering Milton Electric Tiffin to the clients. Milton Electric Tiffin is precisely manufactured with the help of advanced techniques under the stern vigilance of innovative professionals by utilizing quality approved components at clients end. This product is available in diverse designs and sizes as per the requirements. Offered range is widely appreciated by clients due to attributes like high performance, user friendly design, flexibility, compactness and strong finish standards and tested upon various parameters of quality before delivering to customers. 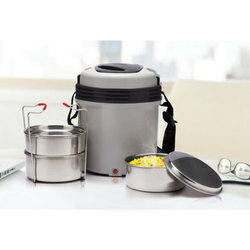 Electric Tiffin Box is the perfect corporate gift which provides innovation and comfort at its best. 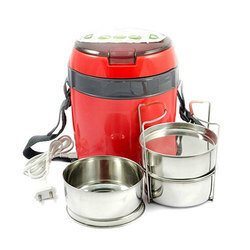 Electric Tiffin Box is known for their extremely high-quality kitchen and household utility items. Pack your food in the morning and 45 minutes before you’re ready to eat, all you need to do is plug it in and your food is heated! Carry your lunch in style! And Enjoy Your Food Hot Anywhere Anytime. It has a 45 minute auto cut-off feature. Made from durable and high temperature resistant materials. Simply plug it in to get a steaming hot, home-made meal. One year for any manufacturing defect. Special durable heat resistant plastic for long term use. 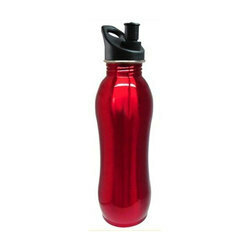 - Capacity 550 ml appx. - Size : Height : 25.5 cm / Diameter : 6.8 cm | Weight : 300 gm appx. 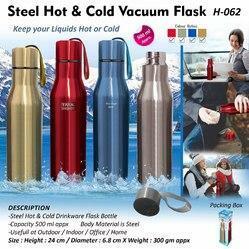 Description : – Steel Hot & Cold Drinkware Flask Bottle – Capacity 500 ml appx. 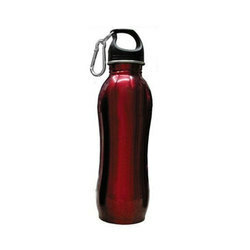 Body Material is Steel – Useful at Outdoor / Indoor / Office / Home- Size : Height : 24 cm / Diameter : 6.8 cm X Weight : 300 gm appx. If possible keep refrigerated as infused water is best served cold. Over-Steeping a citrus fruit (More then 24 hrs) can produce a bitter taste. Adding fresh water can even out the flavour. Some flavour families that work well with the Citrus. 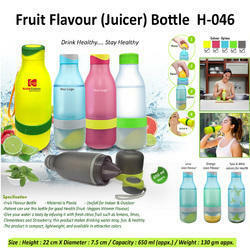 his is promotional Fruit Flavour Bottle. Chipku Mug is the innovative mug that grip to your desk when knocked into, but lifts naturally when you lift it up. Say good-bye to your old mug that falls over and spills. 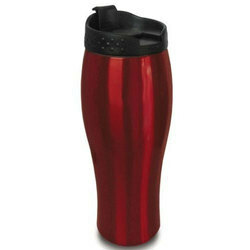 Smart Chipku mug’s outer body is made of Plastic and Inner body of 18/8 food-grade stainless steel. 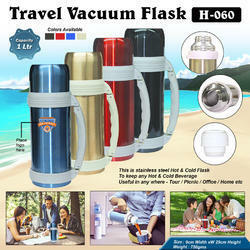 With honest intentions to improve the standing we have earned in this arena, we are offering a distinct collection of Insulated Hot Flask. Immensely valued owing to its reliability, these are highly applauded. Moreover, these could be acquired from us at feasible rates. It has elegant design, accurate dimensions and excellent grade material. Stainless Steel Flask that would help you preserve liquids hot and fresh. 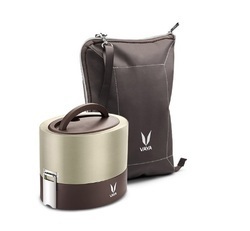 It has a compact design that would let you keep it at any corner of your kitchen. 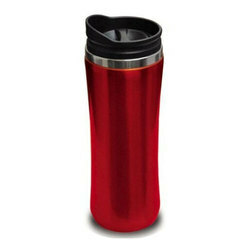 Now you can enjoy warm/cold tea, coffee, soups and more at work, trips or while on the go with this flask.